This book “Parasitology in Ayurveda presents a lucid account of the historical background and concepts of Krmi and Krmi Roga in ancient Indian Traditions, besides the author’s own research findings throwing a critical and creative light on this important topic. The conceptual part includes chapters on historical background and vedic literature, concept of krmi in Ayurveda, modern literature on parasites, aetiopathogenesis and diagnostics of Krmi Roga, principles of treatment and prognosis of Krmi Roga. The microbiological part reflects the author’s own studies and observations on Krmi and Krmi Roga reflecting on a comparative understanding of different Kmis described in Ayurveda in the light of contemporary Parasitology and Microbiology. 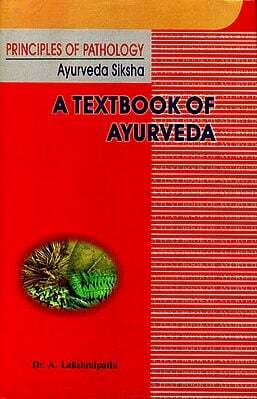 As such this book contains useful and readable information on this important discipline of Ayurveda which could be of great interest for scholars, researchers and practitioners of Ayurveda today. Dr. AC. Kar was born on 18th July, 1966 and did his M.D. and Ph.D. in Roga Nidan and Vikriti Vigyan from Faculty of Ayurveda, Institute of Medical Sciences, Banaras Hindu University. He had provided his services as Senior Resident in Faculty of Ayurveda from 1996-1999 and worked in various capacities in Central Council for Research in Ayurvedic Sciences (CCRAS), New Delhi form 1999-2007. While leaving CCRAS, he was working as Assistant Director (Ayurveda) and joined as Reader in Department of Vikriti Vigyan, Faculty of Ayurveda in July 2007. He became Associate Professor in July 2010. the had been appointed as Head of Department in January2008 and in January 2011. Dr. Kar has published more than 60 research papers in various National and International journals and presented papers in 15 International and more than 54 National Seminars. He is in the Advisory, Editorial and Reviewer Board of several National and International journals and also acting as a Chairman of Research Committee, Policy and Planning Committee and Purchase Committee of the Department. He has been conferred “Dhanwantari Award- 2012” by Odisha Ayurveda Seva Sansthan for his significant contribution towards Education, Research and Clinical services in Ayurveda. I had the pleasant privilege to review the prepress script of the monograph “Parasitology in Ayurveda” authored by Dr. Anukul Chandra Kar, which is based on the Dotoral thesis of the author approved by Banaras Hindu University in the year 2001. The Monograph presents a lucid account of the historical background and concepts of Krmi and Krmi Roga in ancient Indian Traditions, besides the author’s own research findings throwing a critical and creative light on this important topic. The monograph is divided into two parts: (1) Conceptual study, (2) Microbiological study. 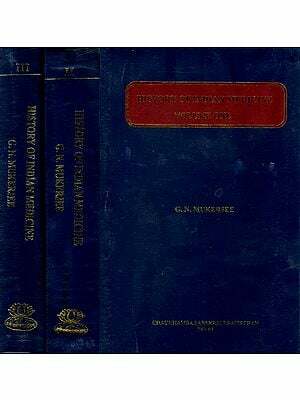 Part I includes chapters on historical background and Vedic literature, concept of Krmi in Ayurveda, modern literature on parasites, aetiopathogenesis and diagnostics of Krmi Roga, principles of treatment and prognosis of Krmi Roga. Part II of the monograph describes and discusses the author’s own studies and observations on Krmi and Krmi Roga reflecting on a comparative understanding of different Krmis described in Ayurveda in the light of contemporary Parasitology and Microbiology. As such the monograph contains useful and readable information on this important borderline discipline of Ayurveda which could be of great interest for scholars, researchers and practitioners of Ayurveda today. The Ayurvedic texts describe in considerable details the clinical and therapeutic aspects of Krmi Roga. The emphasis seems to be more on “Krmi Roga” than “Krmi” alone, where as the Vedic literature seems to be more concerned with ‘Krmis’ than the “Krmi Roga”. The texts describe a range of diseases produced by Krmis such as Kustha, Yaksma, Atisara, Panda, Grahani and Hdroga. Atharva Veda presents 23 kinds of visible and 41 kinds of invisible Krmis. Atharva Veda describes richly meaningful hymns and Mantras for protection of the mankind from the Krmis prevalent in the humid hills and forests and similar other habitats. Rigveda states that there are two categories of Krmi: (1) Sunmna (Nonpathogenic) and (2) Durnäma (Pathogenic). Some of the Durnäma Krmis have been alleged to damage the human embryo during pregnancy (Rig. 10.162.2). The Ayurveda Samhitas fix the number of Krmis to be 20 which infect symbolizes the multiplicity of Krmis. In reality, there are innumerable Krrnis including helminths, bacteria and viruses. The Krmis in this context are categorized as (1) Sahaja (Avaikarika) and (2) Janmottara Kalaja (Vikäri). The Krmis are also broadly categorized as: (1) Vakva Knni (External) and (2) Abhyantara (Internal). Sushruta (SS.Uttar.54) besides the three classical categories of Krmi also mentions the existence of Dantädä or Danta Krmi (Dental Parasites). The Sahaja Krmis described by Charaka and further explained by Madhukoskara Vijai Rakshita are extremely minute microbes and are non — pathogenic. Hence they are not described in further details in Rogadhikara. Charaka has also given only a passing reference to Sahaja Krmi. The Abhyantara Krmis are of three kinds viz. (1) Kaphaja, (2) Purisaja, (3) Raktaja. In terms of nomenclature, Krmis as described in Ayurveda are 20 in number. The Kaphaja and Purisaja Krmis are essentially intestinal parasites while the Raktaja Krmis are blood borne such as Malaria, Filaria, Bacteria, Virus etc. Habitat — wise these Krmis have been described to have specific locations/habitat viz. (1) Kaphaja Krmi in Ama aya, (2) Purisaja Krmi in Pakvaaya and (3) Raktaja Krmi in Rakta Vahini Sira. Thus in totality the four categories including Vahya Krmi and Abhyantara ones are 1. Vähya Malaja, 2. Purisaja, 3. Kaphaja, 4. Raktaja. 1. Jatharantra and Posanaja Vikara i.e. Gastrointestinal and Nutritional disorders such as diarrhoea and mal-absorption. 2. Pandu (Anaemia) viz Krmi Kosthaja Pändu or Mrttikaja Pdndu caused by Purisaja Krmi. 3. Kustha (Leprosy and other dermatoses) caused by Raktaja Krmis. 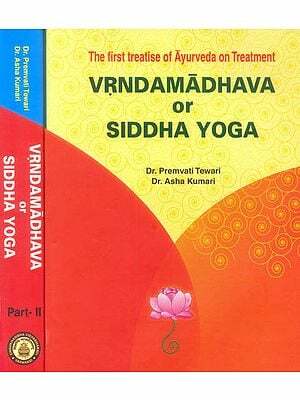 The Ayurvedic classics have made outstanding original contributions to biology and Medicine while describing the Kriyä-Sutra of Krmi Roga, where besides internal medication for treatment of Krmi the texts mention three fundamental principles viz. 1. Krmi Apakarsana i.e. physical removal of Krmis. 2. Nidana Parivarjana i.e. elimination of the cause of infestation. 3. Prakrti Vighãta i.e. to modify the Prakrti and the habitat of the Krmis (Parasites and Microbes) on one hand and the gut of the host on the other. The Prakrti (nature or basal makeup) of the host-gut as well as the parasite both can be suitably modified with the help of dietary habits and the life-style management besides certain medications and procedures which may have immune- enhancing impact. Major part of the Patho physiology of Krmi Roga is because of immune disorder induced by the presence of the parasites in the gut. Even in conventional Parasitology and Microbiology, immunity and immunopathology are considered the basic matrix of the morbidity in case of Parasitology. Thus the concept of Prakrti Vighäta as conceived in Ayurvedic classics in the context of Krmi Roga is very fundamental and should also be applied in many other diseases where parasites and immunogenetics is involved. Prakrti-Vighata is based on immunogenetic phenomenon. The present monograph and many other studies conducted in the past have made desperate attempts to correlate Krmis described in Ayurvedic texts with new parasites and microbes as known in modern medicine. Such correlates have never convinced me about their precision and accuracy and the underlying logic. Moreover, I do not see any utility on clinical application of such correlations which seem to be only of academic importance. What is really important is the concept of Nidana Parivarjana and Prakrti Vighata in prevention and treatment of Krmi Roga eliminating the chances of recurrence. I congratulate the author Dr. Anukul Chandra Kar for his painstaking study on a topic of great historical significance and for presenting his observations in a lucid manner. I hope this publication will serve as good reference text for future investigations. Dr. Anukul Chandra Kar is known to me since his student days. I have always found him a very conscious and creative enthusiast of his generation. I wish him and his monograph all success. Krmi Roga or Parasitic diseases have been with the mankind since time immemorial. Even today, these diseases remain among the major causes of human misery and death in the world and are important obstacles to the development of economically less favoured countries. At any given moment most of the world’s people would be found to be infected with parasites. Till recent past, developed countries were in an advantageous position vis-a-vis parasitosis because of infrequent occurrence of these diseases. Recently, the pandemic of AIDS has dramatically altered the situation and today resource-rich countries such as USA and United Europe are as much as concerned about the parasitic diseases as the resource starved countries of rest of this world. The initial discovery of Parasites was without the aid of microscope and was possible because of sufficiently big size of the organism to make them visible by naked eye. The availability of microscope helped tremendously in discoveries of new parasites. There has grown up a general belief among laymen in general and the doctors of modern medicine in particular that the parasites are unknown to Ayurveda. According to the history of the recent past though the first discovery of a parasite was recorded in second half of eighteenth century and the discoveries have continued into the twenty first century, the parasites or Krmi had been recognized since Vedic period. 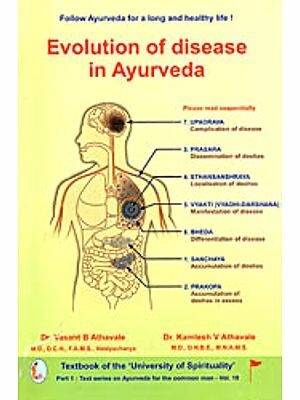 The parasites which plays a very important part in the causation of diseases in modern medicine, is not given the same place in Ayurveda but given a secondary place in the causation of diseases. Several types of Krmi with their morphology, habitat, shape, effect and names with their treatment have been described in the Ayurvedic texts. The ancient sheers of Ayurveda without the help of microscope, probably by their divine sight described the Krmis some of which can be seen by naked eye and some are invisible to general people. The word Krmi has got a very wide interpretation in ancient literature i.e. it includes all the pathogenic and non-pathogenic organisms covering a wide range of infection and infestation caused by a host of agent ranging from viruses to worms. Caraka Samhita in the form of a dialogue between the great Atreya and Agnivesa devotes a complete chapter on Krmi wherein a vivid description of the Krmis infesting human beings externally and internally, inhabitation, nature of causation of disease and the treatment of disease caused along with the medicinal devices and medication for extirpating the Krmi will be found. Ayurveda has very good principles of treatment and also a rich treasure of plant and mineral medicines for the treatment of Krmi Roga. Several research works have been done in various departments of Ayurveda like, Kãyacikitsä, Dravyaguna and Prasütitantra, only to evaluate the effect of herbal and herbomineral drugs on certain parasites as described in modern medicines (Table 1). But very little or no effort has been done to study the cause, habitat, shape, colour, name and effect of the Krmis as described in Ayurveda. Though so many workers had tried to correlate these Krmis with the helminthes, protozoa etc. but it had not been fully established because no specific criteria for correlation with the parasites was followed. The author is not agreed with the correlation made earlier by the workers as none of the earlier workers tried to derive the meaning of the root word from which the names were derived by our ancient sheers. The author made a hypothesis that the nomenclature would have been done either as per the morphology, habitat, effect or the nature of the Krmis. Hence it was thought that if the meaning of the root word could be derived then it would be easy to correlate these Krmis with the parasites described in modern literature that had a resemblance with either of their morphology, habitat, effect and nature.